← Episode 120 – Everything Buckets! Programming with spreadsheets – START NOW! I’ve heard a lot of math teachers comment (to me personally) how difficult it is to integrate math into their classes. Most of the time these teachers just use apps on iPads or use websites like IXL, Mathletics or more to have students practice skills and then track the students progress. That’s fine and those apps do provide a much needed service especially in the data rich educational classroom of today. But there is another way, an older way, that can directly tie your lessons into technology. I’m talking about using spreadsheets. Now let me be clear, you can do this with Excel, Numbers (Mac only), OpenOffice, NeoOffice (Mac only), LibreOffice, Google Sheets or Zoho Docs. Yep, that’s a lot of different programs, but the process should be nearly identical regardless. 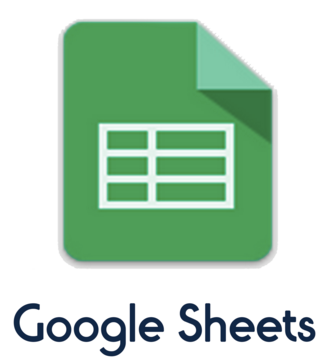 You will be teaching your students to use a spreadsheet to solve math problems. As long as you have access to any of these programs you can do this. Right now, my sixth grade class is working on volume and surface area of rectangular prisms. Volume is pretty easy, you just multiply the length, width and height. The surface is a bit more complicated as you need to find the area of each side and then add those values up. It’s not hard to say or even wrap your head around but doing the math by hand can often lead to simple mistakes that wreck the whole problem. I can hear people now “They need to understand what they’re doing!” Yes, yes, yes we’ve practiced surface area ad nauseam and I feel pretty confident they can calculate it, so we’re past that. Now onto the fun stuff – setting up a spreadsheet to do the work for them. This confusion will pass due to the repetition of the equations that you must enter. The real magic happens when you start to duplicate the formulas and it starts to solve them automatically. The reaction of my students was awesome! You can do this with just about any equation and I would even try it with students as young as fourth grade. Once a student understands an equation thoroughly enough, they can enter it into a spreadsheet and let it do the heavy lifting. This is a great start for students because there is so much more they can do such as make their own gradebook, customize their spreadsheets using conditional formatting, need help with more math equations, then you can empower them spreadsheets! I’ll put my instructions in another post and include a download link for the PDF. This entry was posted in Instructional Technology, Patrick Cauley, programming and tagged math, spreadsheets. Bookmark the permalink.